Sean Hannity's decision to promote a baseless conspiracy theory about the murder of Democratic National Committee staffer Seth Rich has brought new public pressure on Fox News, just as it was beginning to emerge from a year of high-profile scandals. Cars.com, Peleton exercise bikes and mattress company Leesa Sleep withdrew their advertisements from Hannity's program on Wednesday -- a move reminiscent of last month's advertiser boycott in response to revelations about Bill O'Reilly's alleged sexual harassment. In a rare interview with Huffington Post, Hannity accused liberal watchdog groups like Media Matters For America of trying "to take me out" by encouraging advertisers to jump ship. "This is a kill shot," he said. Hannity also said that he decided to stop pushing the conspiracy theory out of respect for Rich's family. "Nobody tells me what to say on my show. They never have and frankly they never will," Hannity said. "I'm not that type of person you can say, 'Go on air and say this.'" Still, four sources at Fox told CNNMoney that Hannity did face internal pressure to back off the Rich story, even if he made the decision to do so on his own. Suzanne Scott, the network's president of programming, and other executives met with Hannity on Tuesday and encouraged him to stop advancing the theory. Fox News did not comment, and Hannity did not respond to a request for comment. Hannity's theory, which he promoted relentlessly for a week on his Fox show, radio show and Twitter account, alleged that Rich had been killed for providing Wikileaks with thousands of internal DNC emails. No real evidence has been provided to support any of those claims. In fact, Rich was killed during a botched robbery. Fox News staffers have told CNNMoney that they are frustrated and embarrassed by Hannity's peddling of the conspiracy. "It is disappointing because it drags the rest of us down," one senior Fox News employee said earlier this week. Several staffers have also questioned why Fox News leadership continued to allow Hannity to spread an unproven theory on the network. The most common theory circulating among staff is that Rupert Murdoch, the executive chairman of 21st Century Fox, doesn't want to run the risk of losing Hannity by upsetting him. Fox News has already lost its two biggest prime time stars -- Bill O'Reilly and Megyn Kelly -- in the span of just five months. Losing Hannity would be a crushing blow to the network, these sources said. 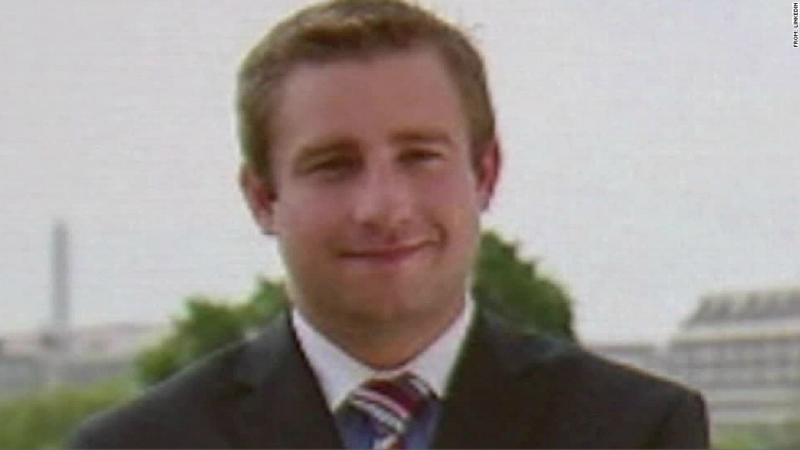 Nevertheless, Fox News announced on Tuesday that it had retracted its week-old news article about Rich's murder, which also advanced the conspiracy about his ties to the DNC. "The article was not initially subjected to the high degree of editorial scrutiny we require for all our reporting," the network said. "Upon appropriate review, the article was found not to meet those standards and has since been removed." Earlier on Tuesday, Rich's brother sent a letter to Hannity's executive producer pleading with him to find "decency and kindness" in his heart and stop spreading the unproven theory. Rich's parents also wrote an editorial published on Tuesday in the Washington Post pleading with people to stop politicizing their son's death. Despite the pleas from Rich's family and the retraction from his own network, Hannity continued to promote the theory on his radio show Tuesday afternoon, telling listeners, "I am not Fox.com or FoxNews.com. I retracted nothing." But after meeting with executives and further considering the appeals from Rich's family, Hannity appeared to change his mind. On Tuesday night, he went on air and announced that "out of respect for the family's wishes, for now, I am not discussing this matter at this time.". Oliver Darcy contributed to this report.